Oh boy, Zel looks happy because he and Steve found some eggs laid by our chickens! Go Zel, go! Beth and Rachel hard at work gathering eggs! Go ladies, go! Wow yum, yum! 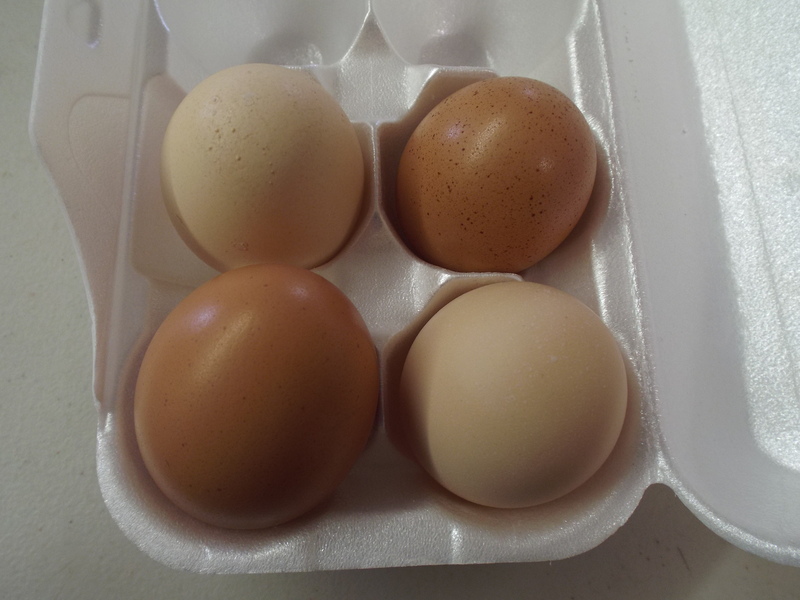 Our chickens are producing some awesome eggs! That big, brown egg on the bottom left was even a double yolk!! Zel hard at work again! 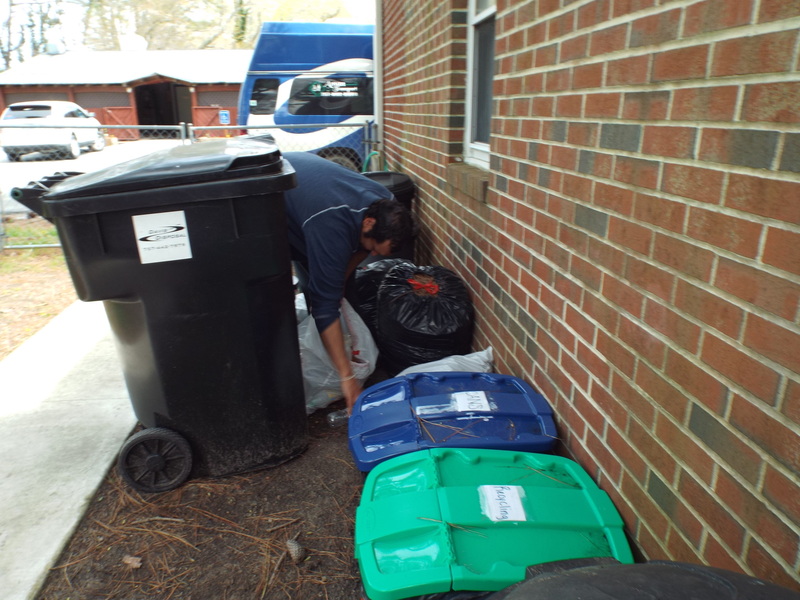 In this picture he’s recycling items using our brand new recycle bins! 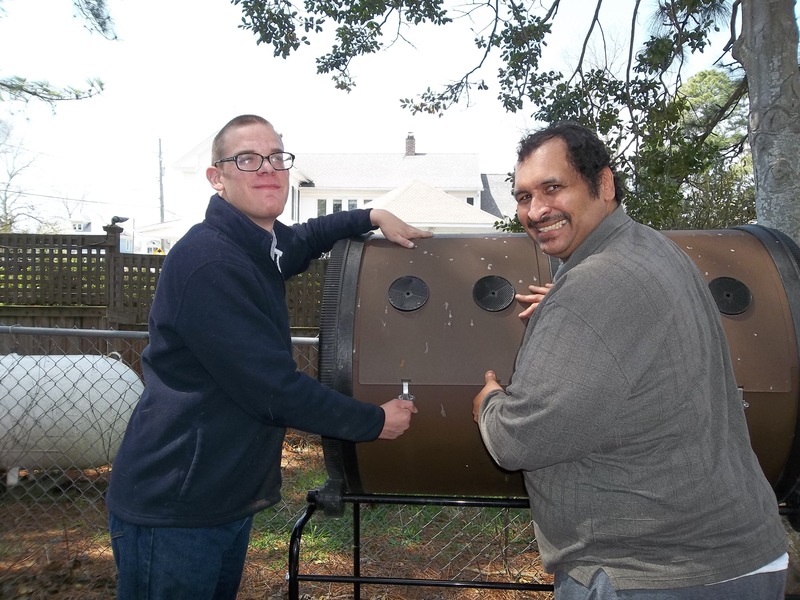 We would like to thank the Eastern Shore Soil & Water Conservation District again so very much for the grant we received that allowed us to buy new recycling bins! In this picture and the next we’ve got two great men doing work! 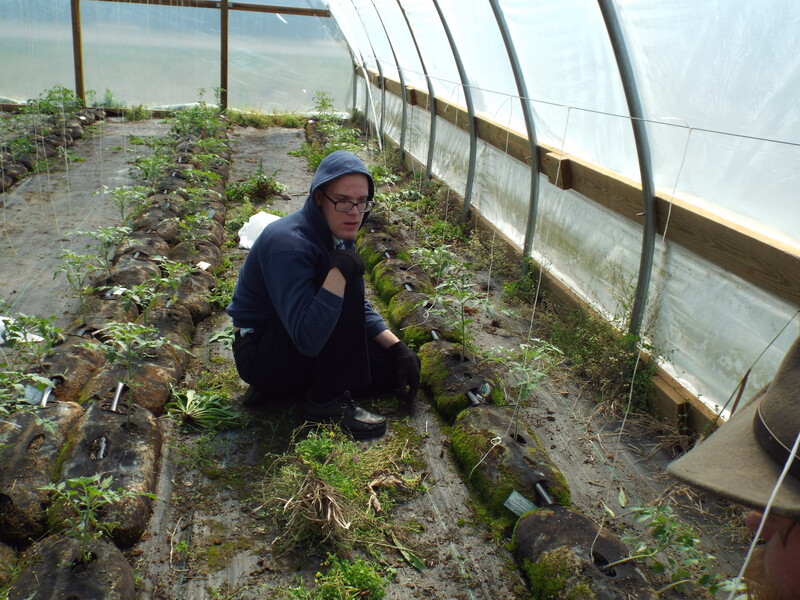 In this picture Zel is weeding the tomato plants at the Food Bank’s community garden. 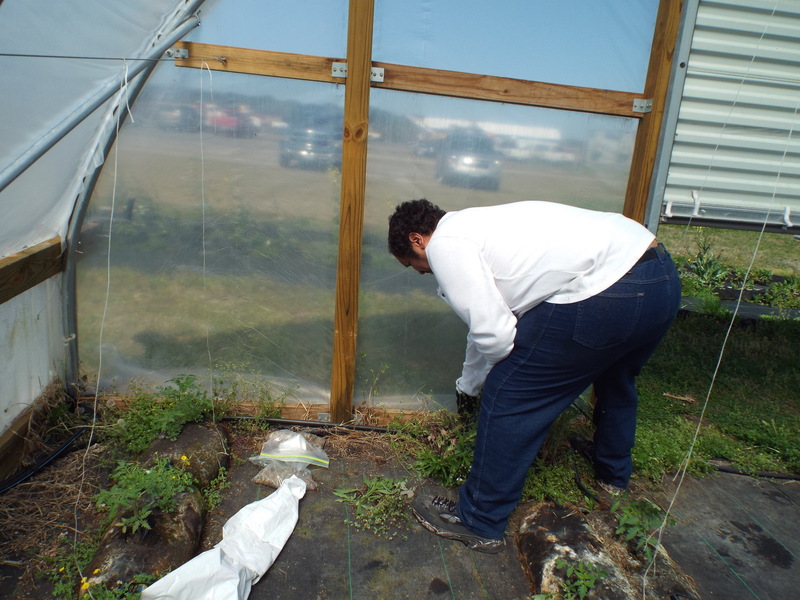 In this picture Brandon is helping to weed tomato plants at the Food Bank as well! Pull on my man, pull on! More please, keep those tomatoes nice and healthy! 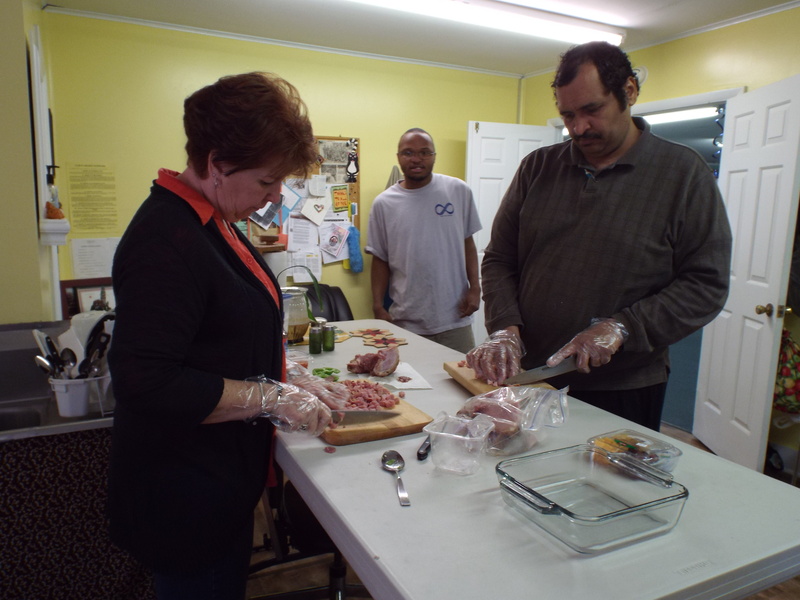 Maryann and Zel chopping up some ham to cook for the Rehoboth Temple Community Outreach Ministry soup kitchen! 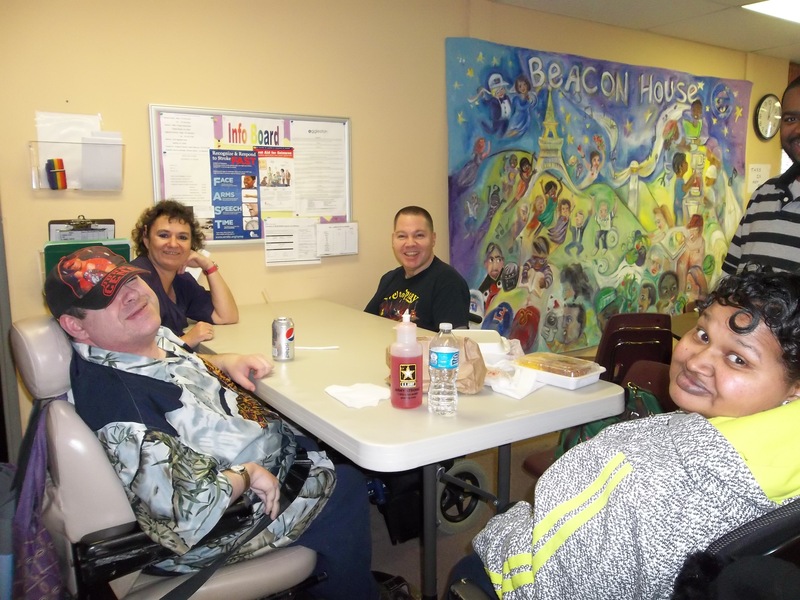 This month we made them a ham, egg, and pepper casserole! Maryann and Zel are such great cooks! DJ is also in the background making sure that they’re doing a good job! 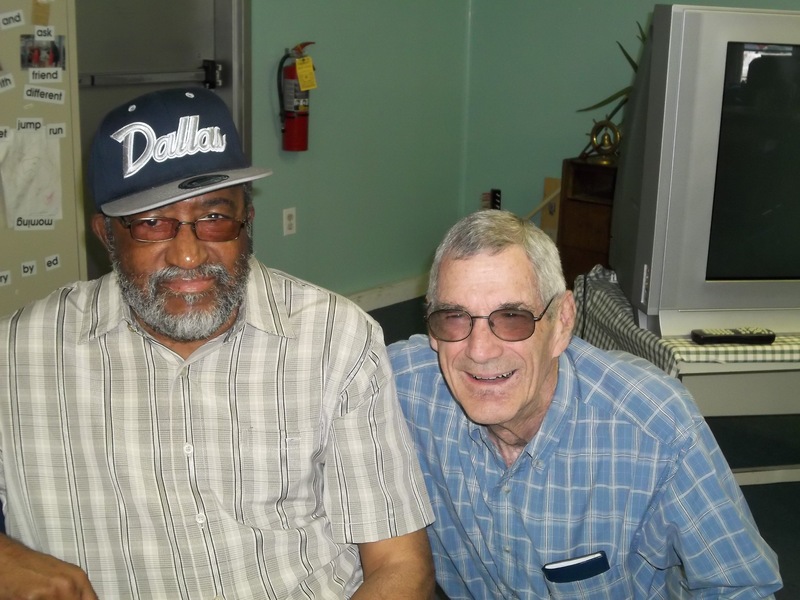 Here we have Calvin and our good friend Parks smiling for the camera! It was great to see our buddy and we’re glad to see he’s doing well! Amy says that she’s very sorry that she missed seeing him and hopes he comes back to visit soon! 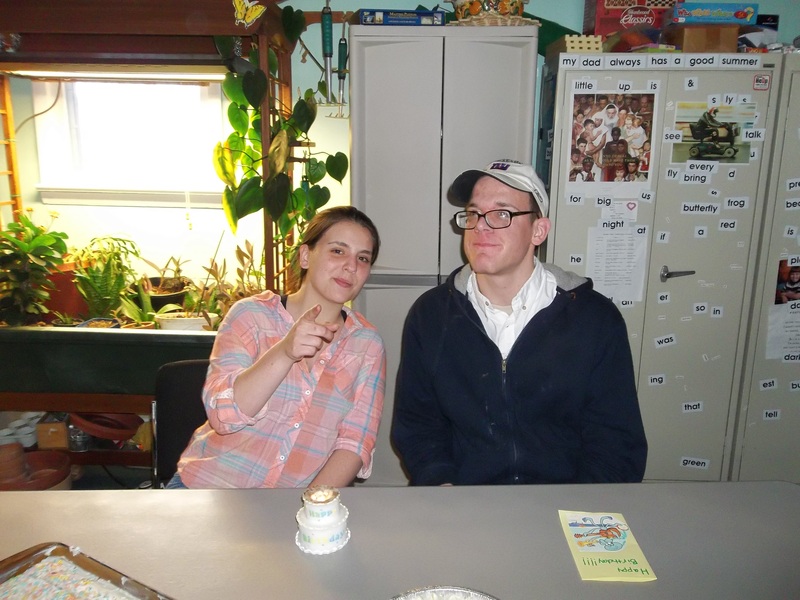 Brandon helping Makoto from the Food Bank to plant some seeds at the Food Bank’s community garden. Plant on boy with your bad self! 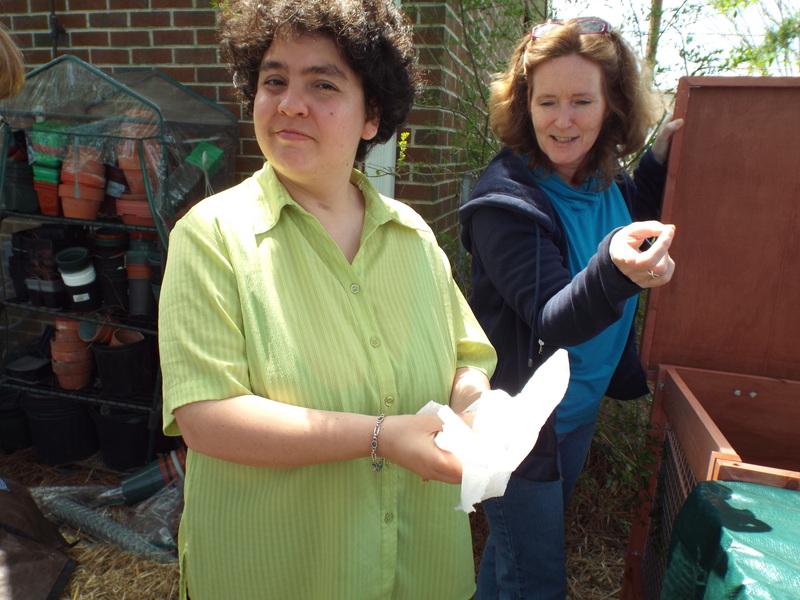 Zel helping to plant some seeds at the Food Bank’s community garden. Zel and Brandon are some serious planters!! Zel and Maryann working together to make Emma’s birthday cake! MMM MMM MMM, boy that was a good cake, we want some more please! 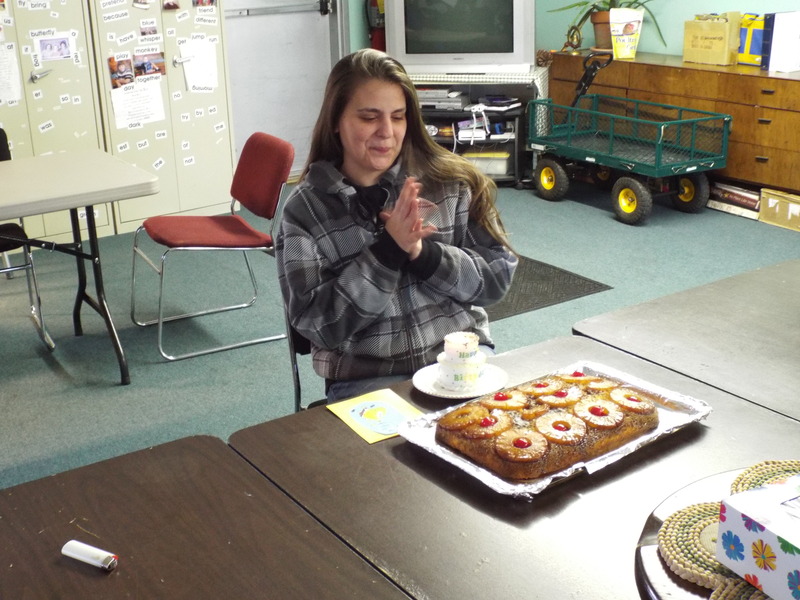 Emma getting ready for her birthday cake. Calm down Emma you can have a piece soon! Please, please, please share!!! 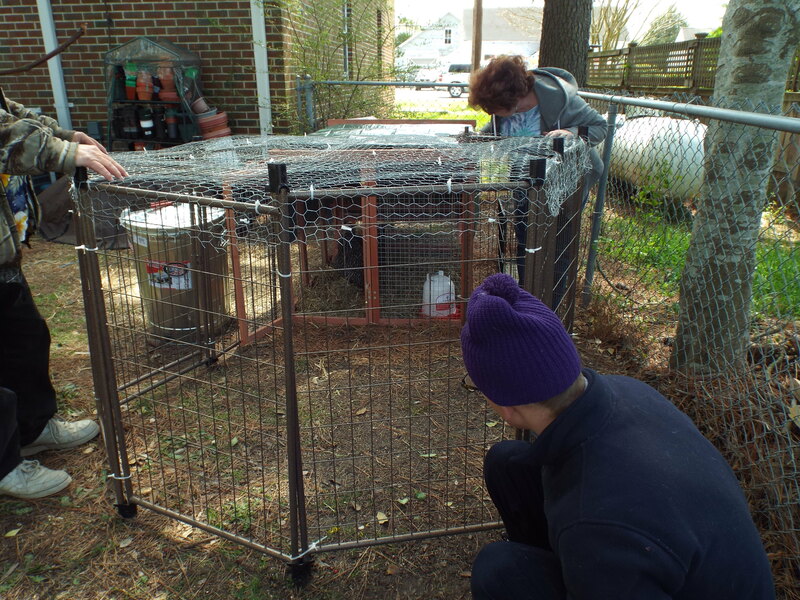 Brandon and Maryann checking out their chicken friends to make sure they’re doing okay in their new home! 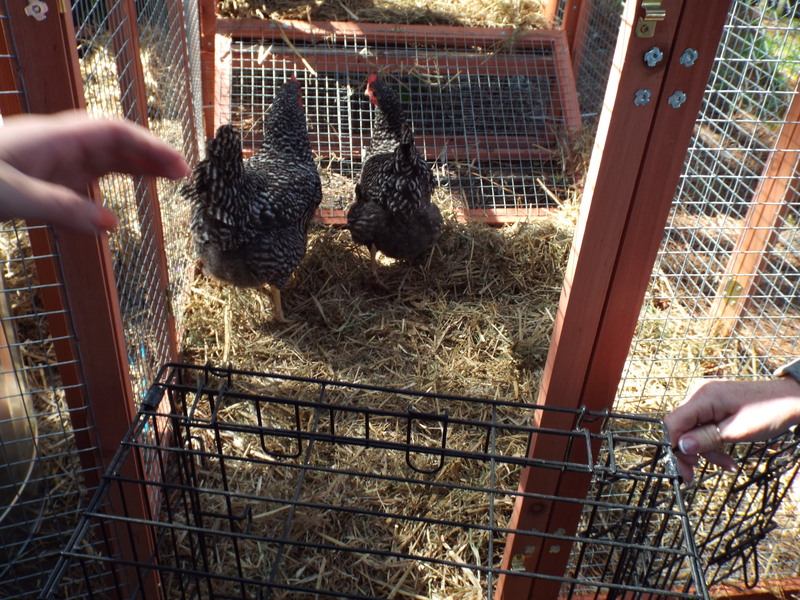 A close up view of our new chickens! Say cheese ladies, we’ve got our eye on you! 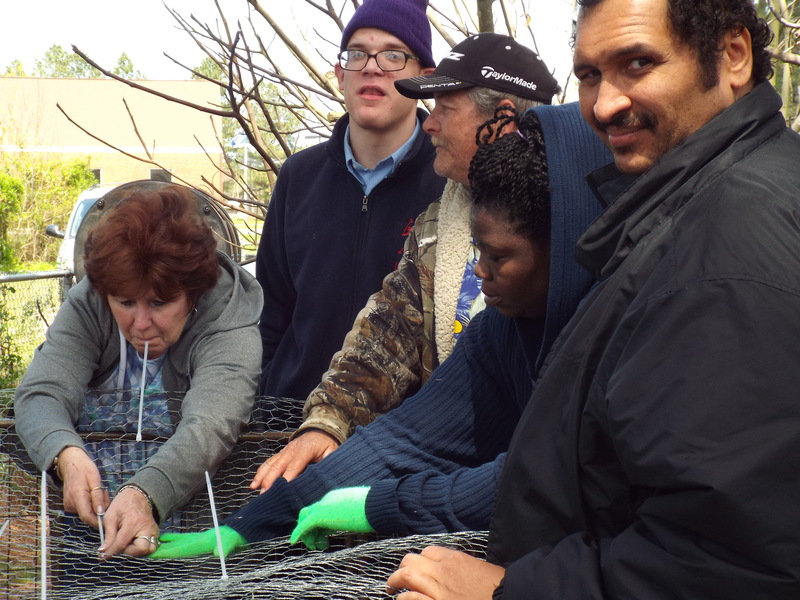 Maryann, Brandon, Chris, Sherry, and Zel helping each other out to finish up the chicken coop! Work on my peeps, work on! Home sweet home! Yay! 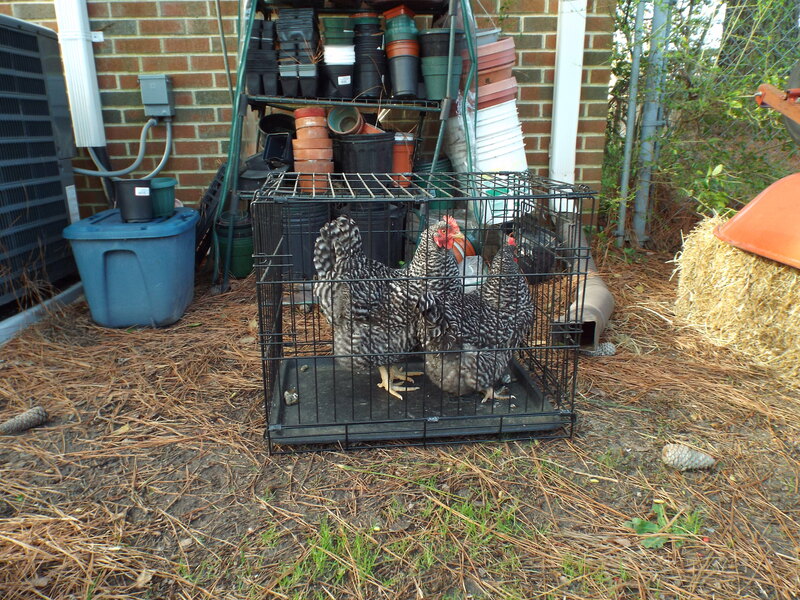 We think the chickens are lovin’ their new house! 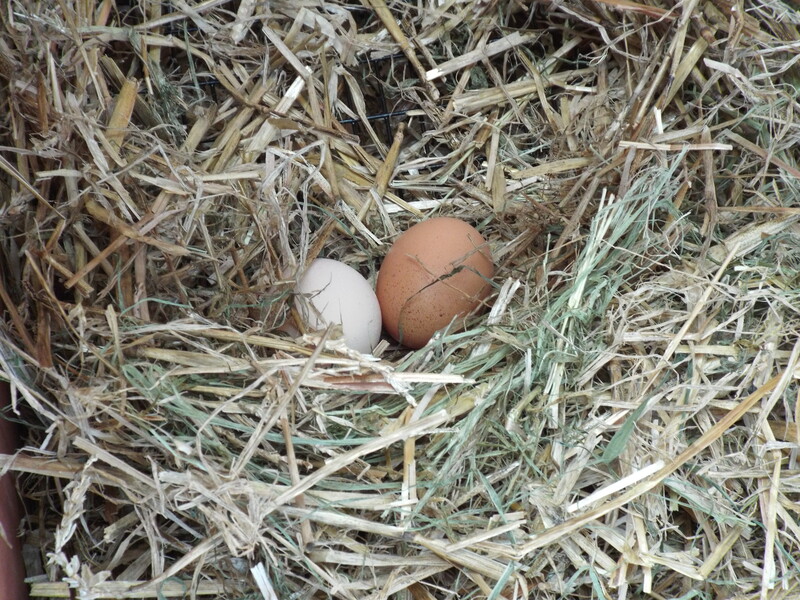 The chickens have already given us 2 eggs! They’re so pretty, more please! 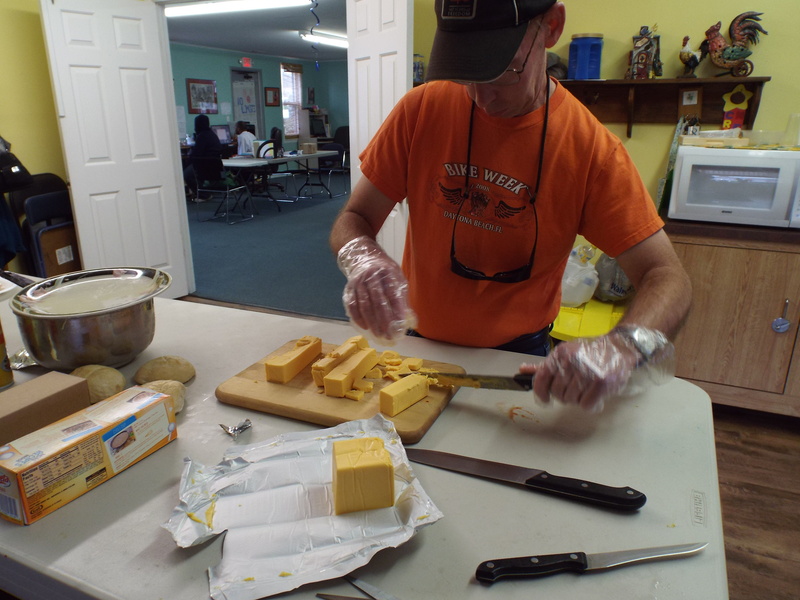 David cutting some cheese cubes to make some yummy macaroni and cheese for our lunch making day here at No Limits. More cheese please David! 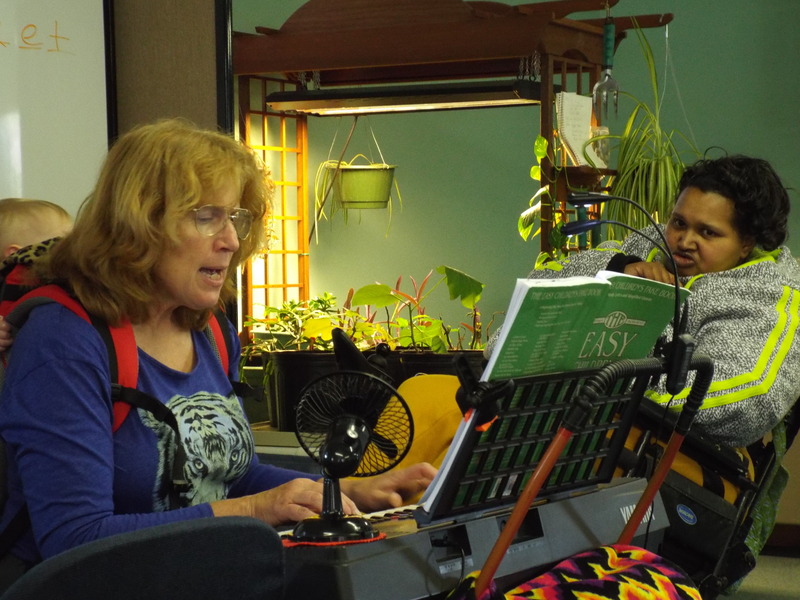 June Bailey came in to visit us and she sang some awesome songs! In this picture Amy and June are singing along to some church music! 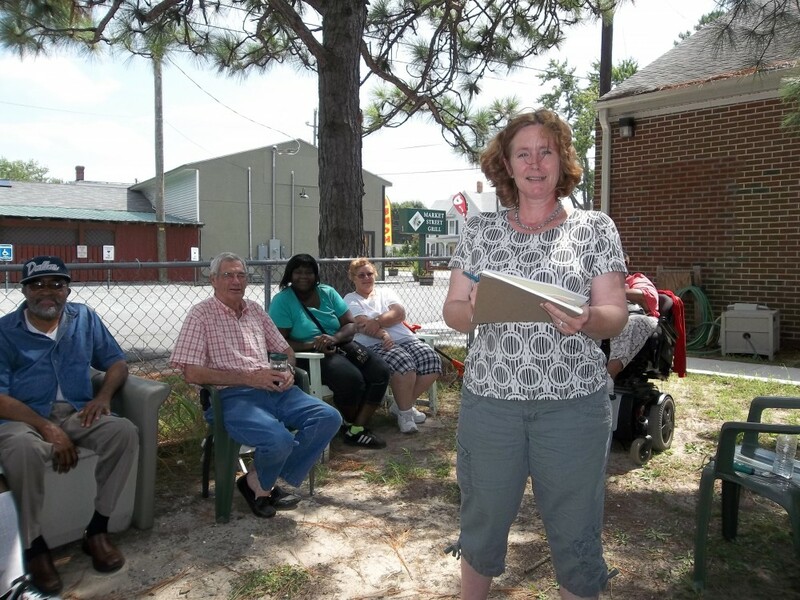 Thanks for stopping by June! 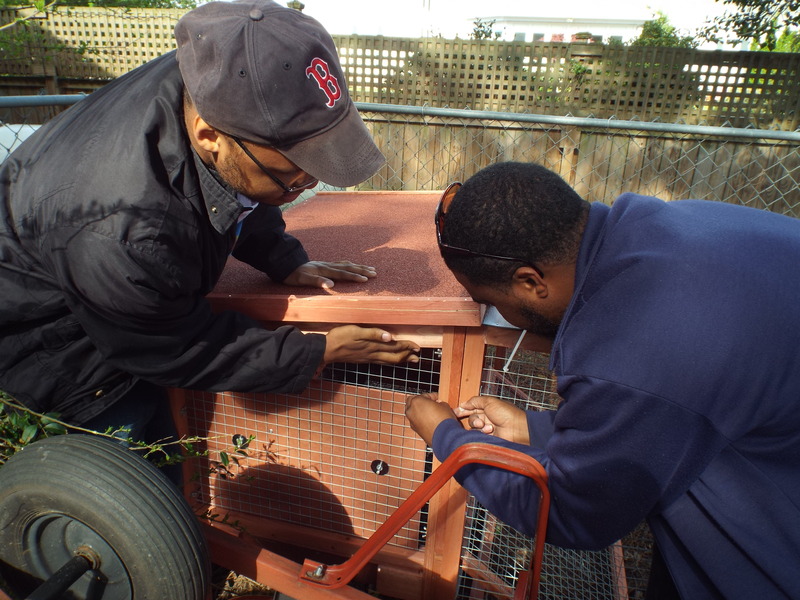 DJ and Steve, the muscle men, moving the compost tumbler to make room for the chicken coop! 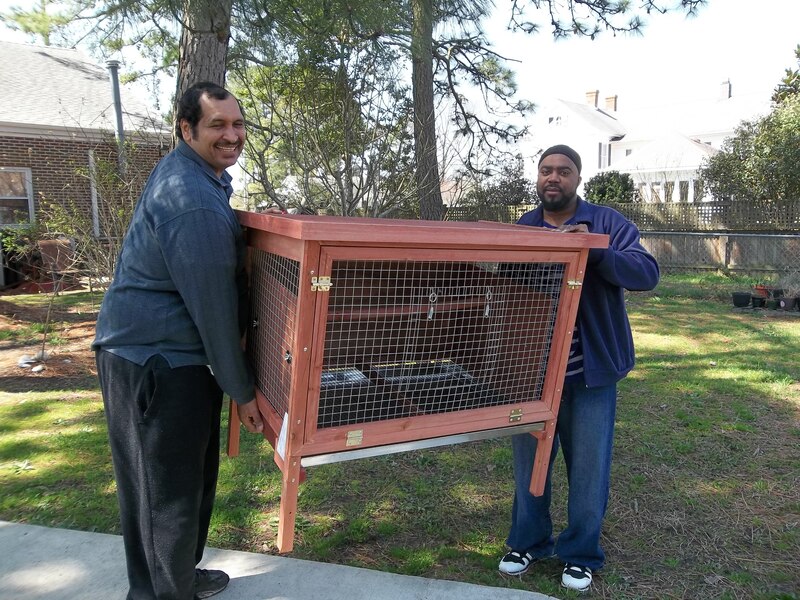 Zel and Steve carrying in our new chicken coop! This is going to be one of our new adventures!!! Stay tuned to see more of our work in progress! 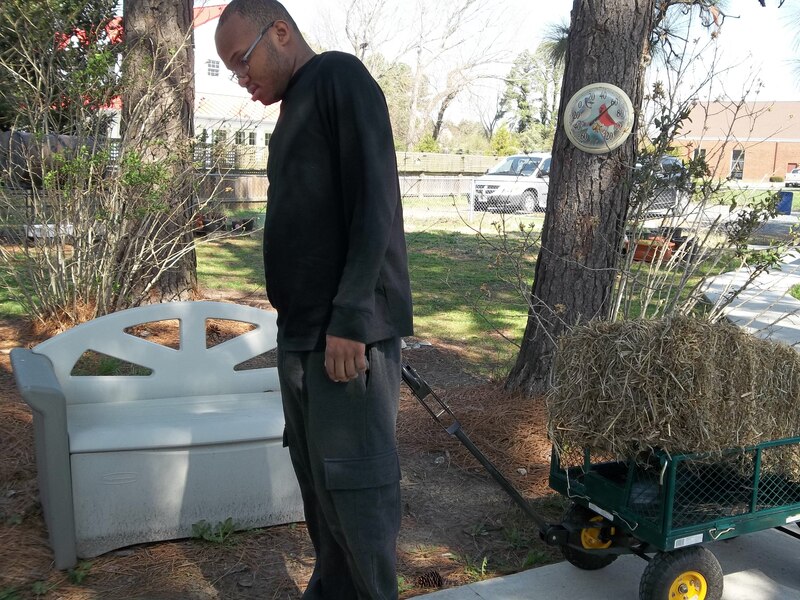 DJ carrying in the straw for our great new adventure with chickens!!! 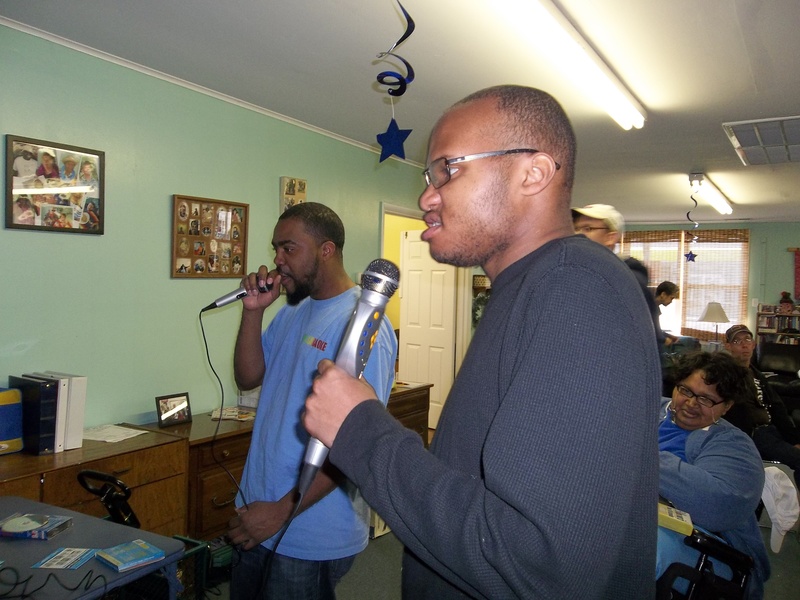 Steve and DJ practicing to be rock stars during Brandon’s karaoke themed birthday party! 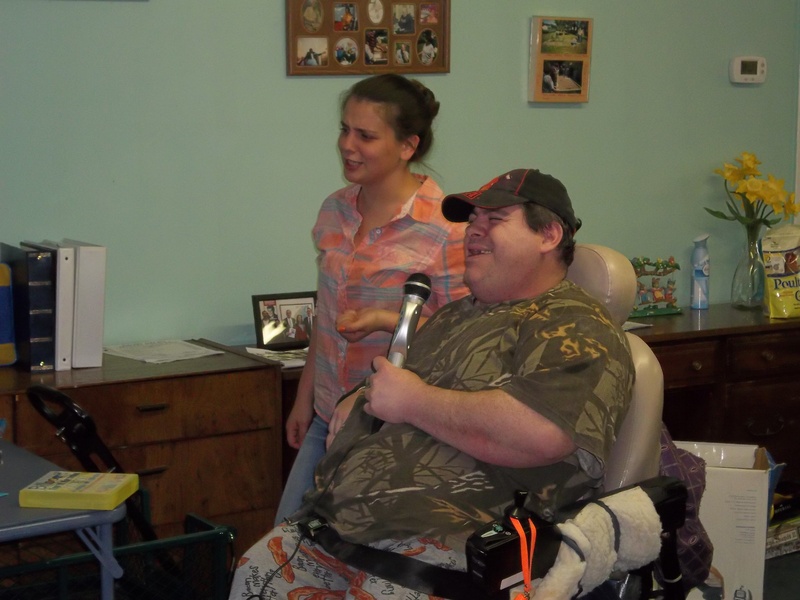 The beach team, Emma and Matt, singing “Surfin’ U.S.A.” and rocking to the beat! Happy birthday Brandon! 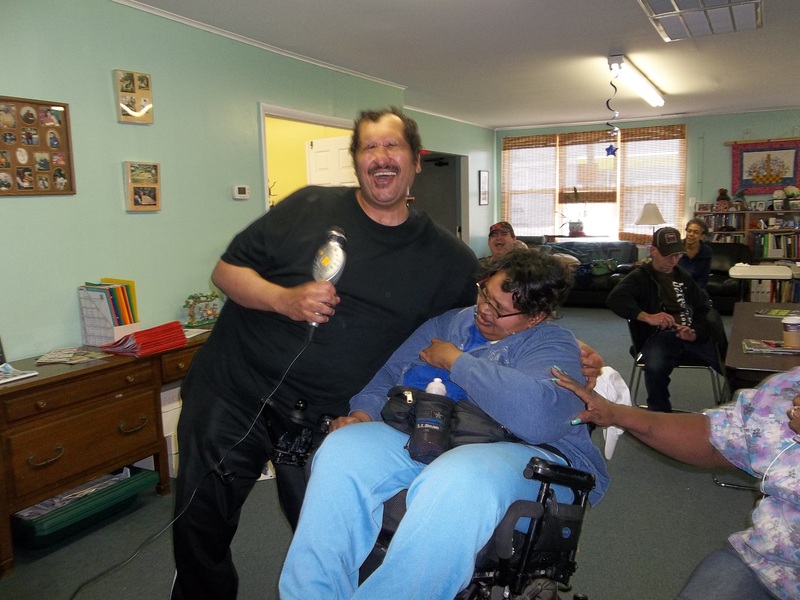 What an awesome karaoke party!! 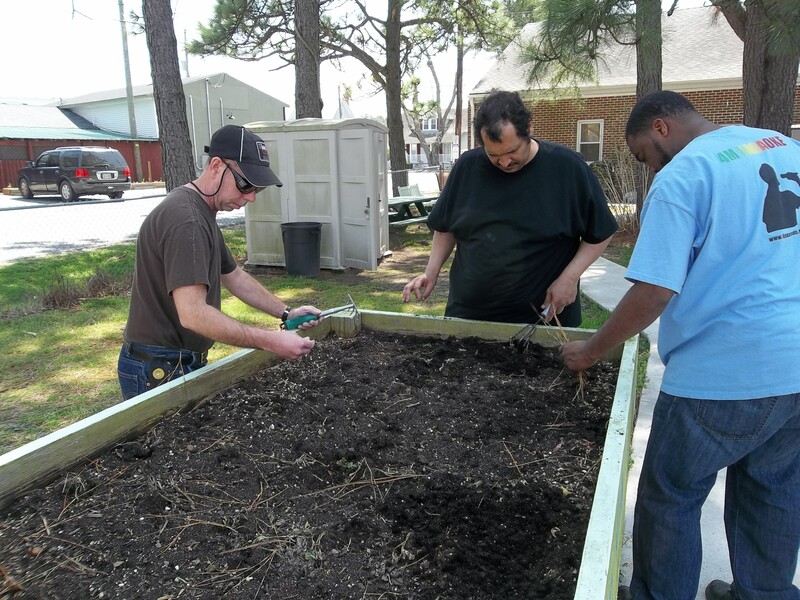 The guys preparing our garden box for spring planting! 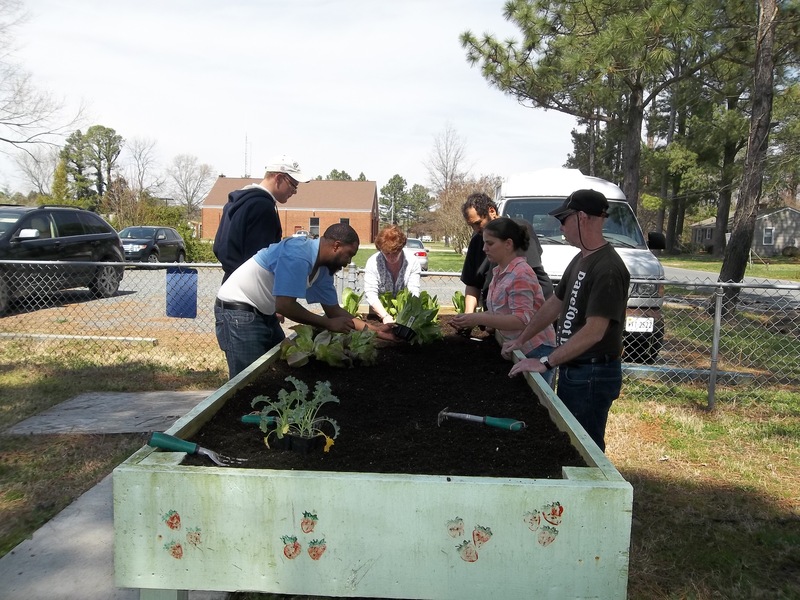 The group planting our spring lettuce! Yum!! 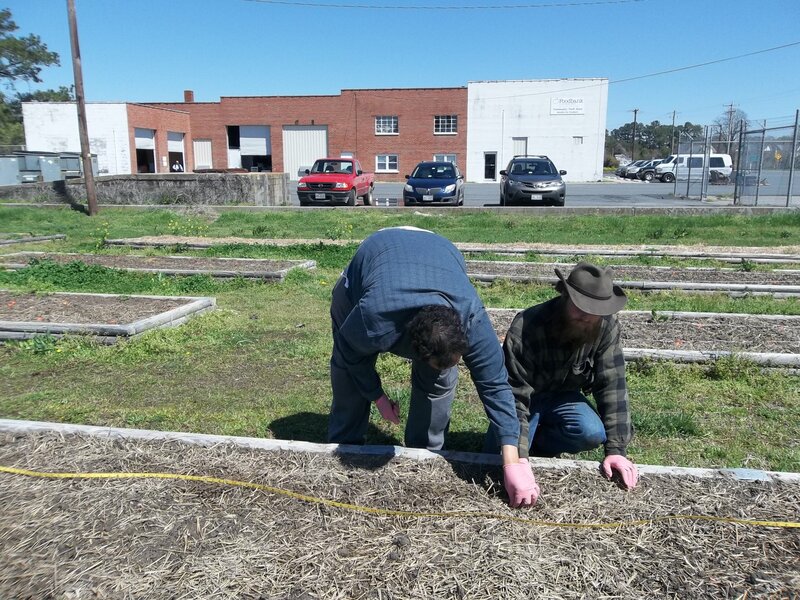 Brandon, Zel, and David working on the lettuce plants. 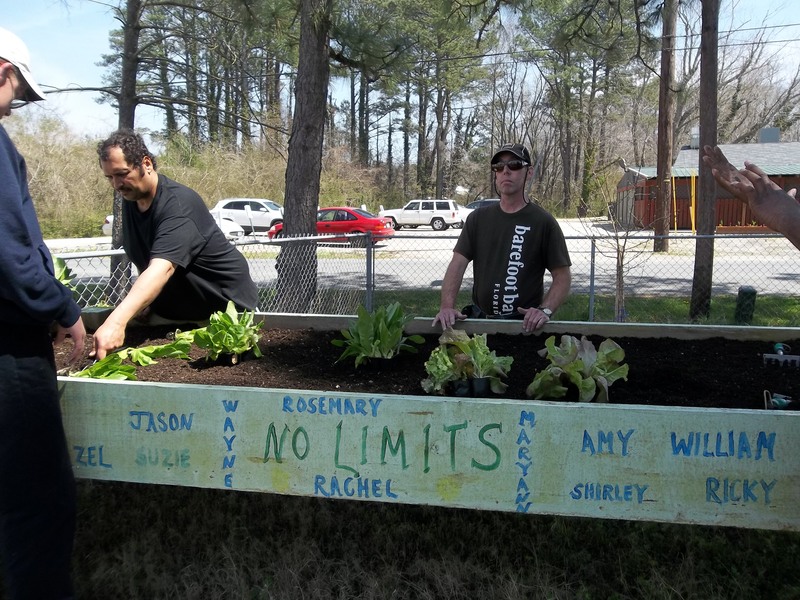 Stay tuned as well for more updates on our spring garden here at No Limits!! 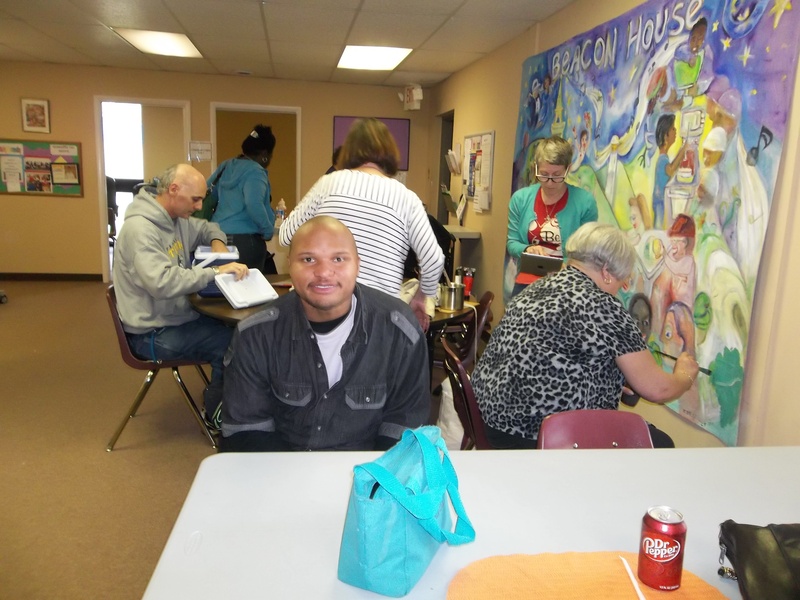 DJ posing for a picture as members of Beacon House work on their awesome mural! 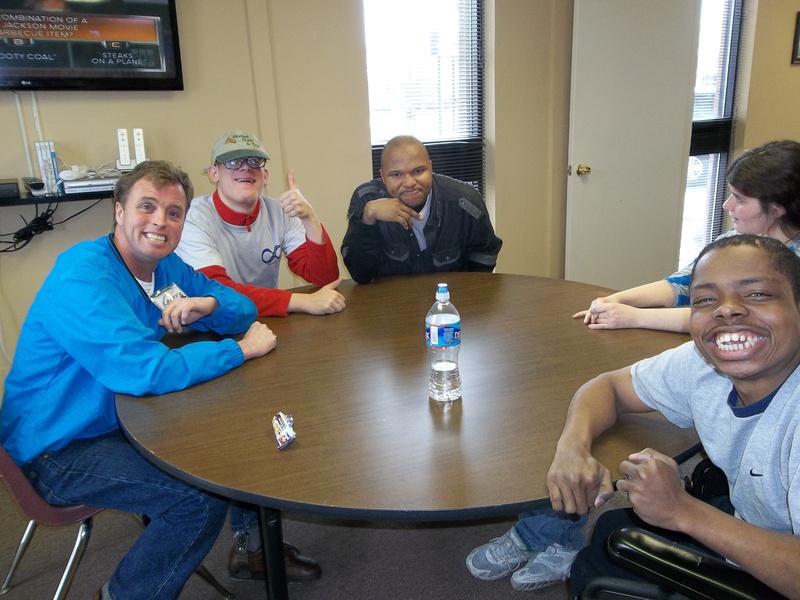 Larry, Brandon, DJ, and Brandon posing for a picture before lunch. Smile on men, smile on!! Matt, Amy, Linda, and David waiting for some delicious grilled cheese and soup! 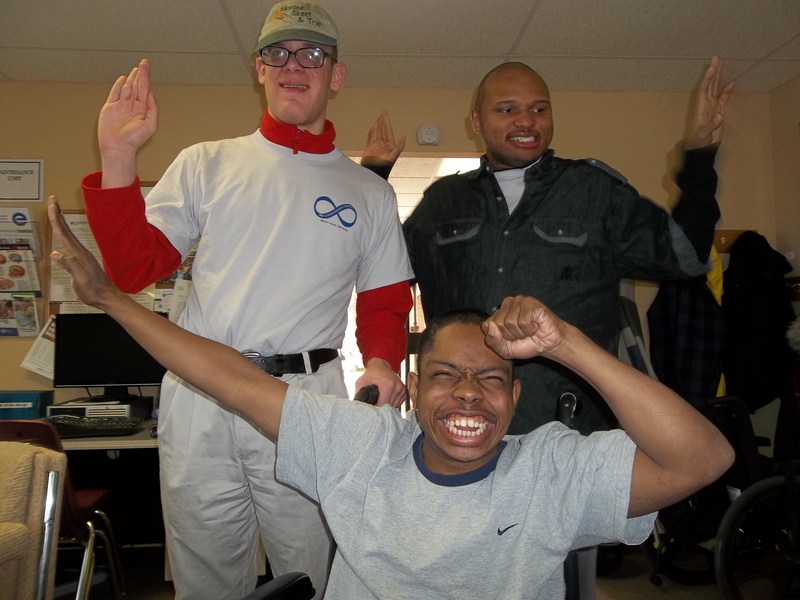 Brandon, DJ, and Brandon posing for a picture and looking hype! Lookin’ good guys! 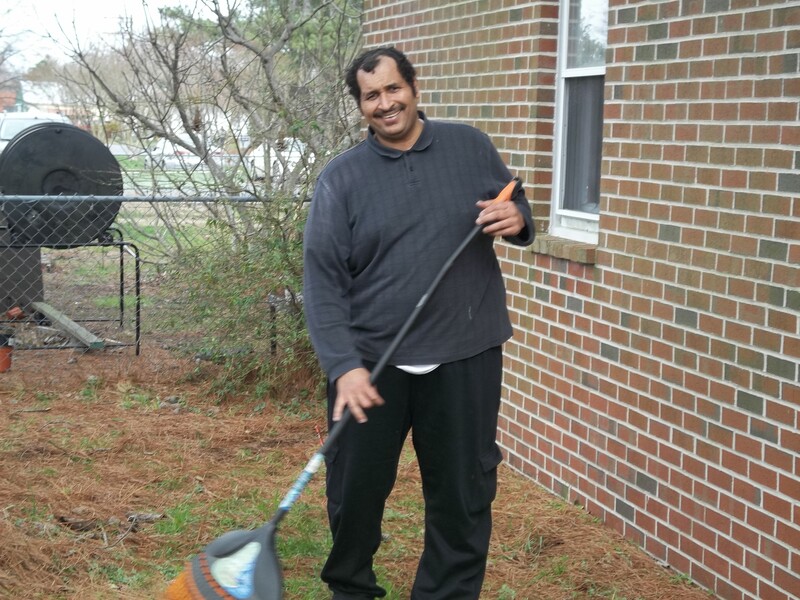 Zel having some fun cleaning up the yard to get ready for spring planting in our community garden! 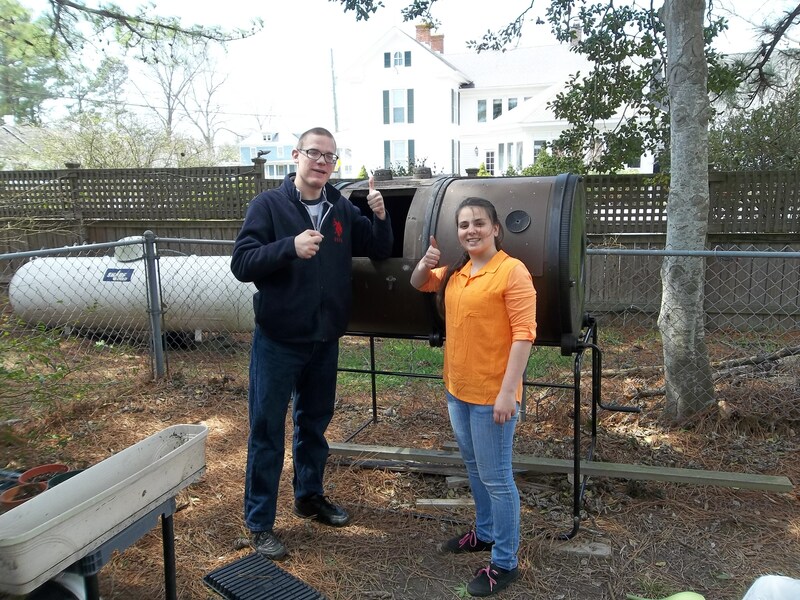 Brandon and Emma giving a big thumbs up for composting! Go people, go! 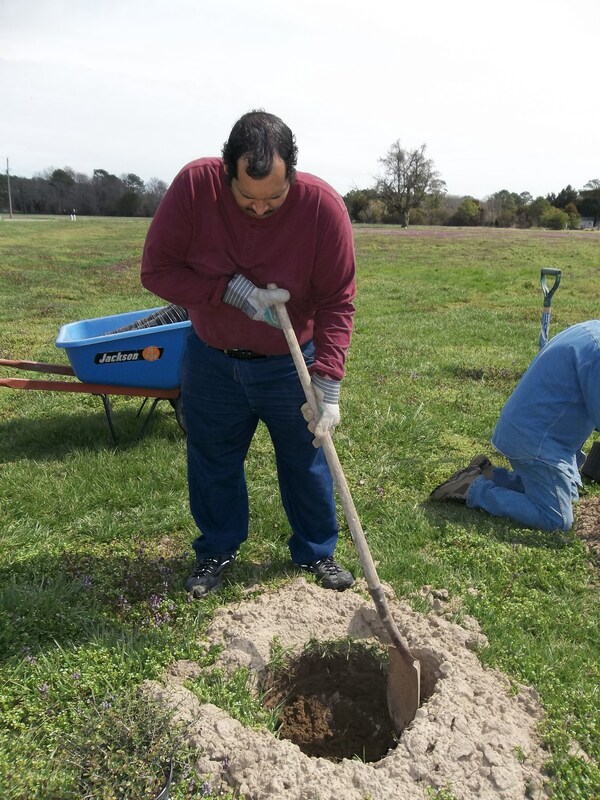 We were able to purchase new composting materials using a grant that was awarded to us from the Eastern Shore Soil & Water Conservation District (ESSWCD). 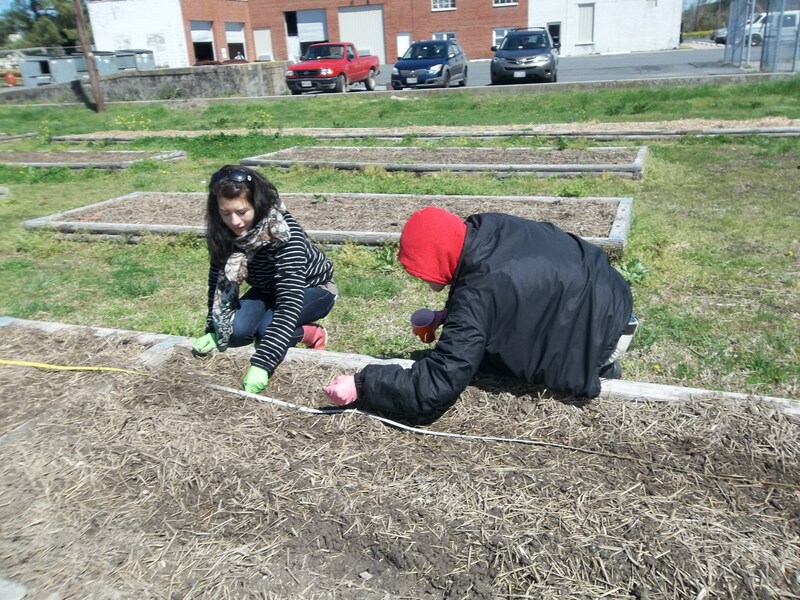 We would like to thank the ESSWCD so very much for the grant money to help with our garden! 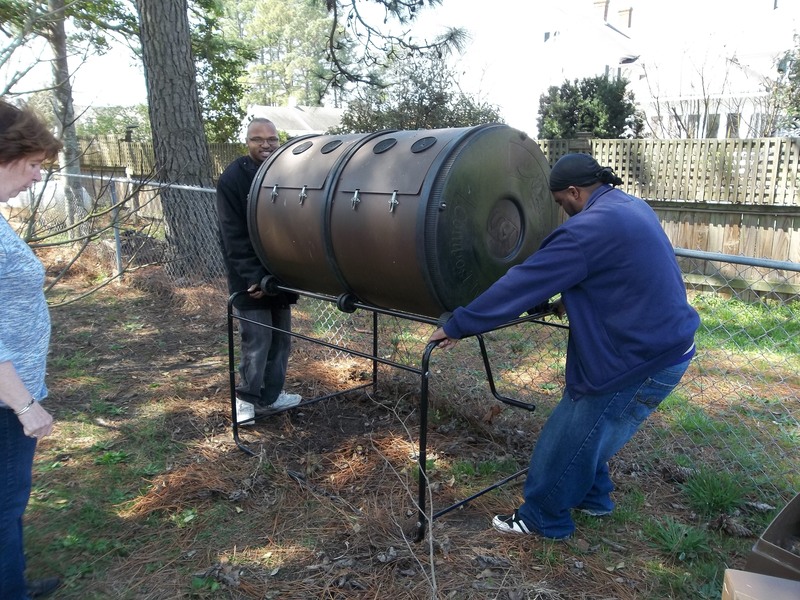 Friends out composting together! Woot woot! 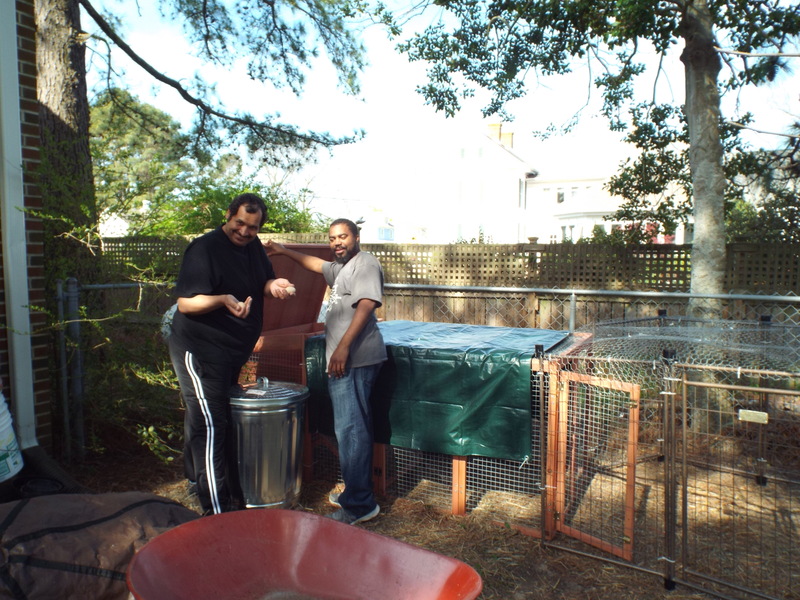 Here we see Brandon and Zel working together on making some compost for our garden! 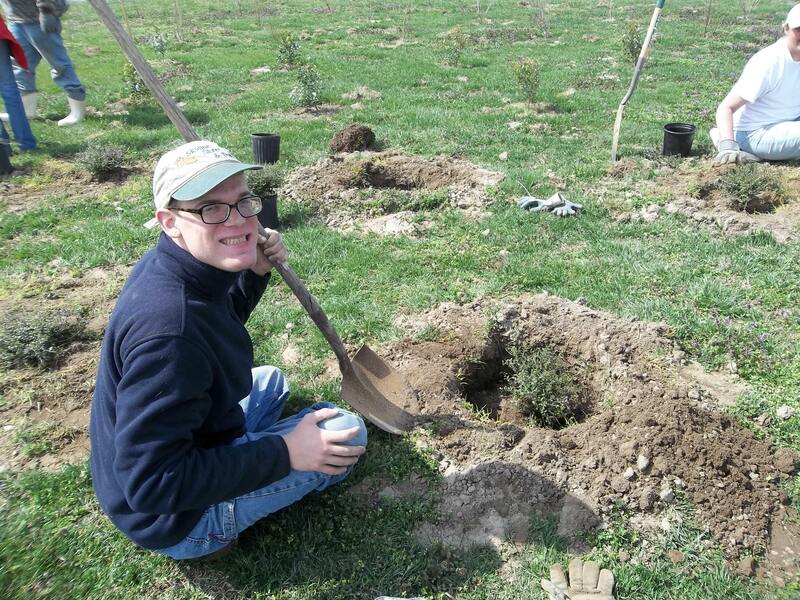 Brandon planting some shrubs while volunteering for the Chesapeake Bay Foundation! Zel also came with us to help plant shrubs for the Chesapeake Bay Foundation! Work on Zel with your bad self! Brandon, Emma, and Zel posing for a group picture after planting some shrubs for the Chesapeake Bay Foundation! 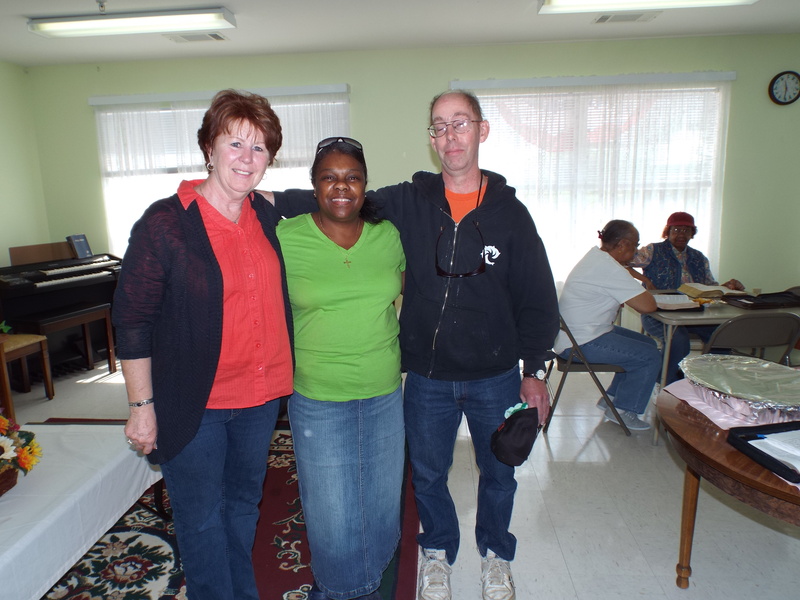 We would like to thank the Chesapeake Bay Foundation for allowing us to come out and volunteer! You guys are the bomb!